I had the rough time blogging this day hike at Mt. Paliparan located in Barangay Cuyambay, Tanay Rizal. Rough doesn't even come close to it. It was extreme adrenaline-filled day hike. It's hard to blog when you can't really focus on thinking what to write about, because your hands are swollen, your joints are aching and you only have ample energy to get up. A day after our hike, its too much to come up with a solid blog about it. But I gotta to try, this #BiyahengRizal adventure is one for the books! Along Aurora boulevard, you can ride jeepney going to Cogeo Gate II. From there, either ride a jeepney going to Barangay Cuyambay (Sampaloc bound jeepneys) or ride tricycle. Expect 350-500 per tricycle. Note: I haven't tried this route going to Cuyambay, this route was our exit which was more convenient since it less transportation switches unlike the Tanay - Sampaloc Route. In Star Mall in Shaw boulevard, you can ride Tanay bound vans/jeepneys. Then at Sampaloc drop off, ask for Cogeo bound jeepneys. Ask the driver to drop you off Barangay Cuyambay. 3:30 - 4:00 - Rock climb Tungtong Falls from second level to the third. 4:00 - 4:30 - Trek back to Brgy Cuyambay Multipuporse hall for bathing etc. Opened for hiking activities just last year April (2016), Mt. 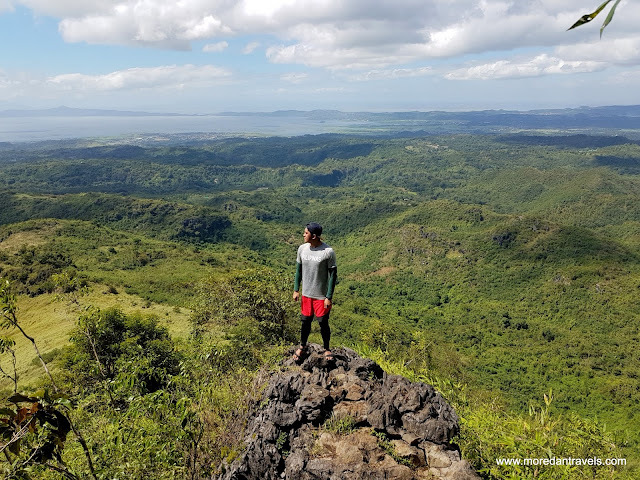 Paliparan offers karst rock formations with matching view of the Laguna De bay. 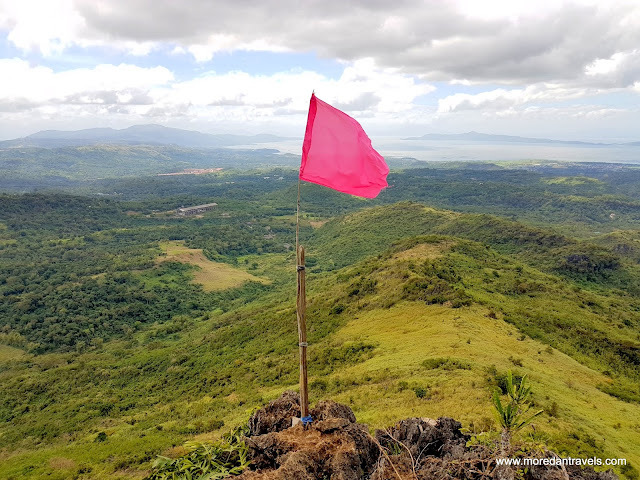 Locally named Paliparan by the Dumagat tribe residing at Touy village because of its history of their people flying kites on this mountain. 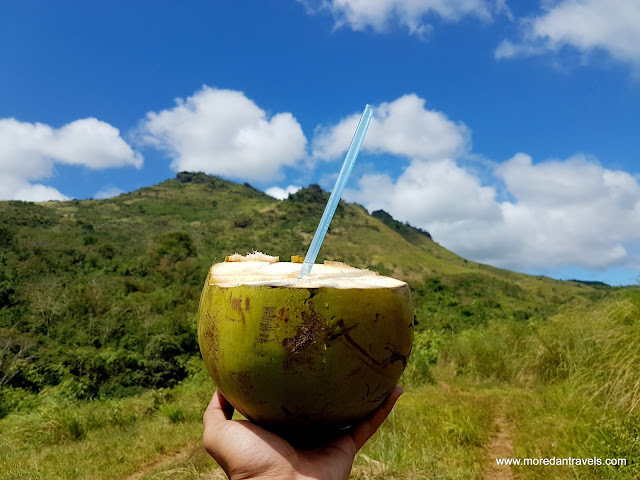 Now, let me breakdown to you what you will experience in hiking Mt. Paliparan with sidetrip at Tungtong Falls. First part of the trail is going thru the rice fields. you gradually ascend the mountain on its sides because the summit of Mt. Paliparan is facing the Laguna De Bay area. You start off at the opposite side of the summit hence, you need to traverse the mountain around. This first part of the hike will surely put your stamina to test. Up and down trekking is plenty profound. Until you reach Tonghayan Rock Formation, you will need to survive one assault. 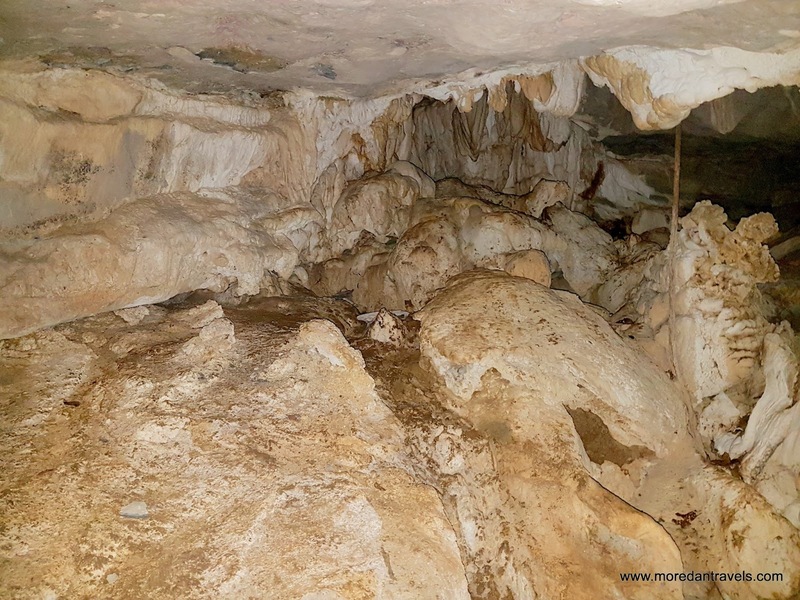 Heading to Taguan Cave, you will need to go down again then hike your way to Taguan Cave. There you can enjoy the cool breeze inside it. Para kang naka Aircon set to 18. From there, expect to do the same again going to View point. Here comes the fun part of getting to View Point. You need to rock climb it. Yes! 90 degrees rock climbing. View point, as the name implies, you give you the vantage point of Laguna De bay and the surrounding place like the Pililia Wind Farm. You can also see there the Summit of Mt. Paliparan. This area somewhat gave me the Taraw Cliff Experience. It has the same jagged karst stones with a matching view. I thought to myself, this maybe the last rock scrambling part of the hike. I was wrong. the 30 mins assault to Mt. Paliparan summit was a challenge. It was knee-breaking and air-gasping trek. I might have sun burned all over if I was not using an umbrella. The tall grass did not provide enough cover but it did cause some cuts. Going to the summit, one must endure climbing a 10-15 feet wall. A rope is present to help you raise yourself and step on the jagged rocks. The guides were very helpful and very mobile around the wall to help the climbers cautiously pulling themselves up. Climb it and Summit is upon us! I survived Mt. 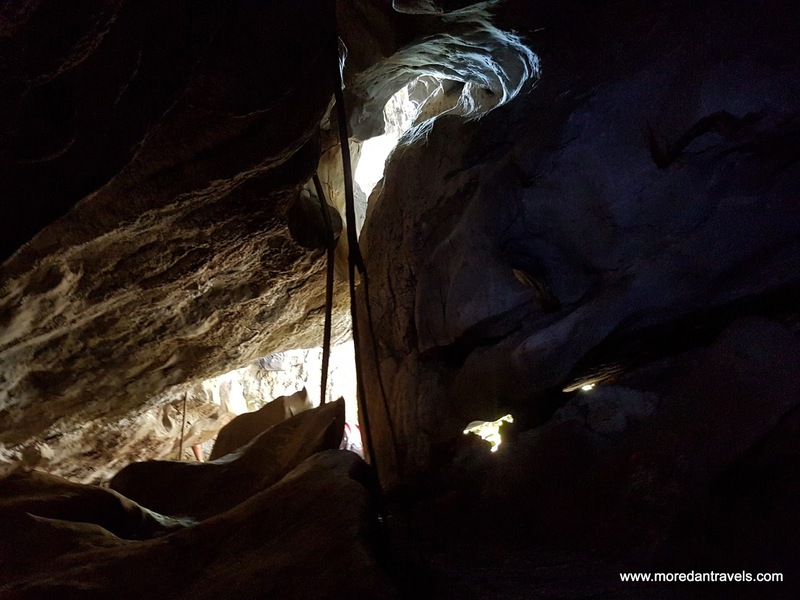 Paliparan and its Rock Formations! You got to pat yourself at the back. This trail is 4 out of 9! Truly a fit if you manage to traverse all the rock formations. Aside from the view, you will appreciate the cool breeze. But take extra care, it might turn gusty any second and might throw you off balance. 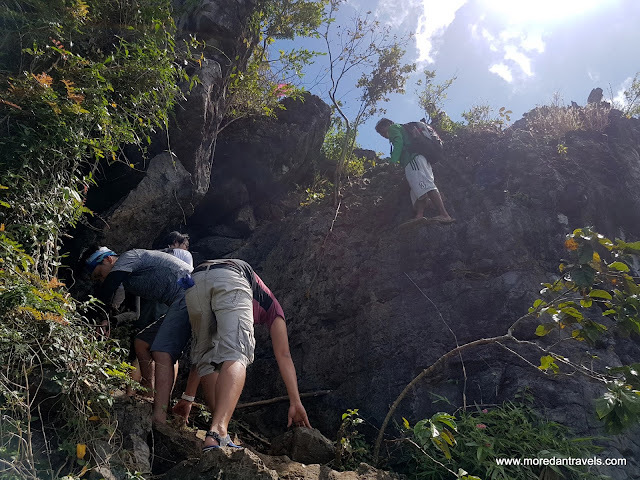 On our way down to Touy, a dumagat tribe village, we had ample time to energise ourselves. They offer freshly picked buko, some soda and water. They also offer cooking lunch for the hikers. The guides will offer you this deal in Barangay multipurpose hall when you first meet them. With that, we went our merry way to the next destination Tungtong Falls. We had a 30 minutes river trekking to get to the first level of Tungtong falls. You can take time and swim here since the guide will not recommend swimming at the second and 3rd levels of the falls. 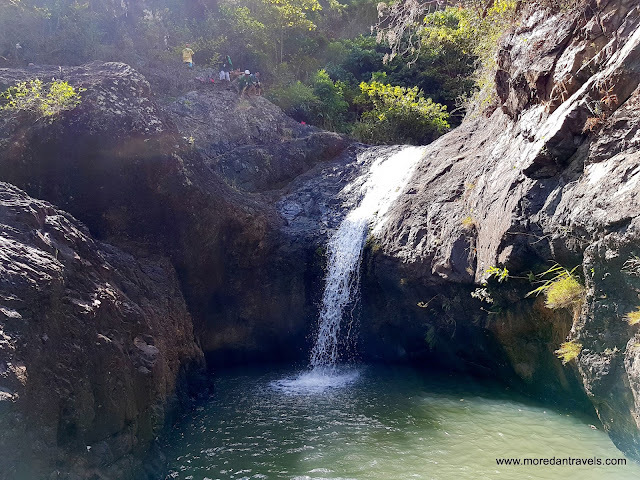 If you are an adrenaline junkie like me, you will surely love cliff jumping at the first level of Tungtong falls. Dipping at the pool above the first level of the falls really made a difference. It made our muscle strains relax and calmed us from the hike we just been thru. We were discussing how difficult the trail was. So we turned on the relax-mode, believing that we have enough surprise rock climbing and assault that day. Here comes Tungtong falls in all her glory. Yes, from a far, we saw some people on top of the falls. Yep, I was here when I zoomed the people on top of the falls. We asked ourselves, how did they get there? Of course, you climb the damn falls! I was excited yet very cautious to take on the predicament in front of me. It was more technical that of climbing up the summit of Mt. Paliparan. YES NOTE THAT: This was far more challenging. Beware this is not for the faint-hearted. It was an acrophobia's nightmare. May lubid para kumapit. Mukhang madali pero wait for it. You can see the bottom of the falls when you get up the second level of Tungtong falls. It was magnificent yet very dangerous. One slip, and you might end up with serious injuries. 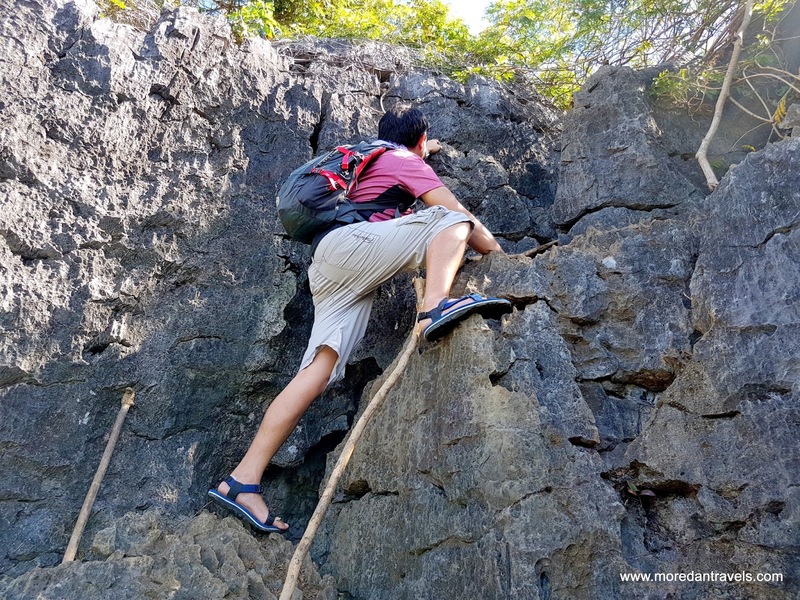 During times when the water is strong, specially during rainy season, guides do not offer this route since the water will flow to the path for rock climbing. Around the corner on top of the second level, you can see the third level of the falls. Of course you need to climb it again to get to the exit of the circuit. Note though, there is one final assault to get to the road going back to the multipurpose hall. I'll leave you with some useful information that can make you ready for your hike at Mt. Paliparan with Tungtong Falls sidetrip. Bring lots of water. 3L at least. The trail composes of shady forests and open spaces, which will be very hot. Rehydrate every now and then. If you emptied your water supply, there is a store at Touy village. Don't demand ice at the dumagat people as this is a scarce resource for them. Know where you are, you are not at the convenience of the city. The dumagat people might grant your request but know that this will be hard for them to acquire. They are very kind and generous people. Wag abuso. Nakakapang init lang ng ulo yung mga entitled people out there. Bring gloves for better grip of the ropes and the rocks when climbing View Point, Summit and Tungtong falls. Pack light. This will add weight when you climb the rock formations. There is two routes going back to Multipurpose Hall jump off, one is the Tungtong Falls route, one is taking the rough roads. The later is the safest and for those who were deemed unable to tackle the challenging Tungtong Falls route. If you have fear of heights, this is not a good start to venture in conquering your fear as the trail will add on top of your dilemma. Be sure to always have first aid kits. Make sure one of your team mates bring one. There are many ways you can get hurt on the trail. Prioritize this second to water and food. Safe guard your arms and legs from the not yet well-established trail. Equip yourself with arm guards and compression pants for your legs. Any will do to provide protection not just from the sun but from the plants. You can contact Mt. Paliparan Official Facebook Account here: @MtPaliparanPh. The admins here were very helpful and would answer your questions. Congratulations, that's it. You have completed the Mt. Paliparan x Tungtong Falls tandem. You may now proclaim yourselves Daredevils, overcoming death defying assault and rock scrambling. Cheers to the next hike where it doesn't involve surprises. haha for the mean time #SelfPreservation. Thank you very much for your information on Mt. 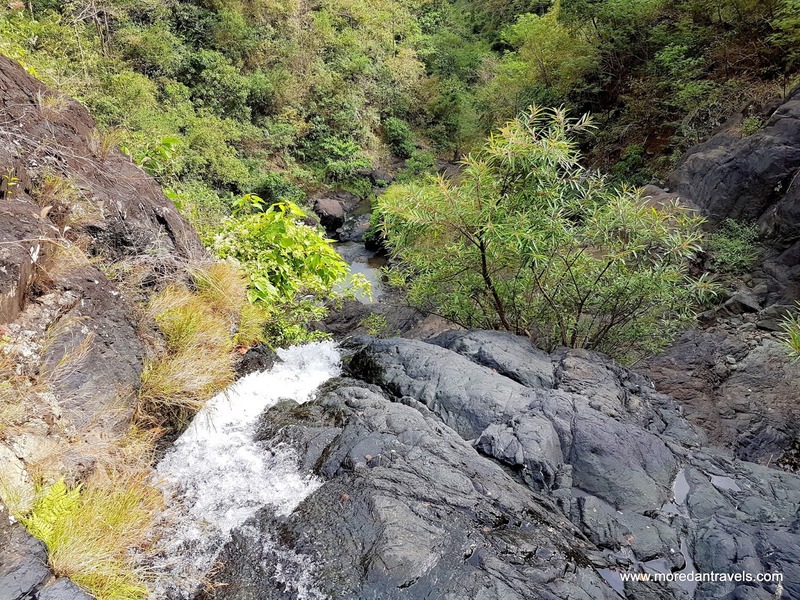 Paliparan and Tungtong Falls. It is informative and encouraging.....I plan to visit this mountain this February 2018. Kudos to you and your intrepid team.